8.30pm Saturday, 26 March, 2011. Lights out! 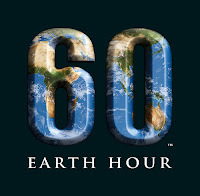 It’s the start of Earth Hour 2011. An hour of no power…but don’t worry, this doesn’t mean you need to be left in the dark, unable to read a book in the effort to reduce your carbon footprint. You can still read, well at least listen, to an audio book on your ipod or MP3 player (providing of course, you have remembered to charge it!). Worried about the carbon emissions of audiobooks? Don't, digital downloads compare favourably to printed books, using less of our valuable resources, and the publishing and transporting procedures used eliminate great amounts of carbon emissions. 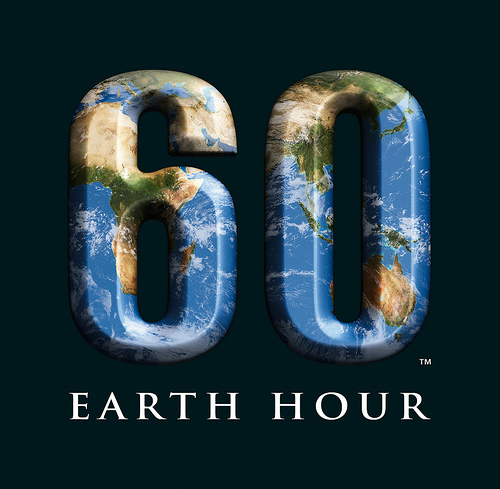 But why spend all that money you have saved on electricity during Earth hour on an audio book, when you can download them for free (in the comfort of your own home) from Sutherland library’s website? Its easy! From the library website, just go to Overdrive, follow the links and download the software onto your own PC. Then simply choose some books. If you need further help just contact the library. Chances are if your reading this, you’re already a member of the library. If not, come to the library and join now! Borrowing print books from the library, rather than buying them new, is a great way to green your reading and continue to help save the planet. The library also has heaps of information about other ways you can take action and reduce your environmental footprint. Public libraries…the original environmentally friendly way to read. Aurealis awards shortlist for 2010. Happy St Patricks day, 2011. Get a life! (at the library).